Inspiring visions of rolling green hills and playful white clouds, this bouquet leaves the mind wanting to travel. If you can't get away from the city, bring the countryside to you! Deluxe Bouquet includes 8 stems. 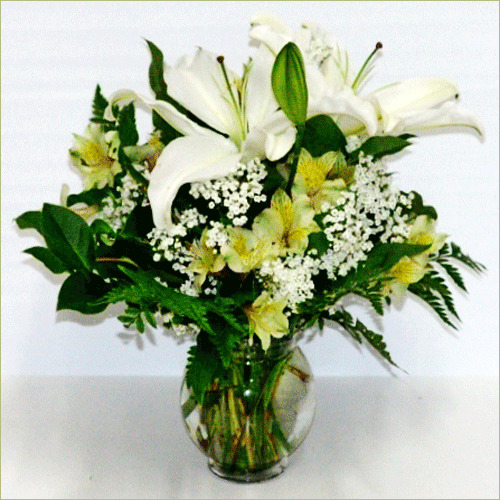 Premium Bouquet includes 10 stems.